Cedarwood Court is located inside a gated and serviced estate called HOPEVILLE ESTATE by Alfa bustop on Lekki-epe expressway. it's just 30 plots that are available. 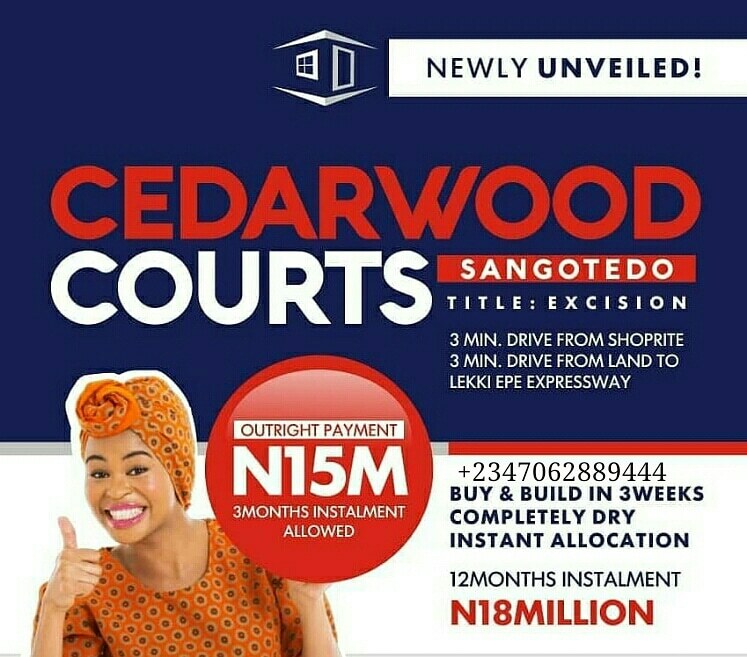 Cedarwood Court is inside an already existing Estate in Sangotedo. Title : Government Approved Excision. 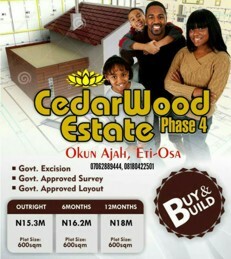 For people that want to build immediately, this is the estate for you. You get your Plot Allocation the next day you pay (Guaranteed). A full plot here is N15M. You can pay within 3 months at no extra Interest or pay within 6 months for N16.2m and 12 months for N18m. This is a hot deal and because we have very limited plots. You need to come for inspection and make payment before the 30 plots are sold out.